The financial health of your business is an ongoing challenge you must deal with every day. Our Naples CPA firm understands the pressures facing businesses today and we are here to help with support, objectivity and the expertise businesses need to succeed. Accounting services are not just bookkeeping. We view our role as a partner ready and able to provide guidance and support to help you define and achieve your business goals. We'll take the time to make recommendations for improved efficiencies and processes that translate into improvements to your bottom line. With Davidson & Nick CPAs by your side, you be well positioned to take advantage of the depth and breadth of our full range of accounting services. Our staff is able to file your annual uniform business report with the state of Florida for you. The state of Florida requires all business registered in the state to maintain up to date records with them. The annual report allows for owners/shareholders/members, and officers to make changes if needed each year. 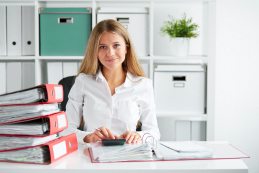 Failing to file your report can cost you increased filing fees in order to get reinstated.